PillarFour Capital is focused on investing in Private, Small and Mid-Cap Oilfield Service companies. We target investments of $5-$15mm and invest through a variety of structures, including common equity, preferred equity, mezzanine and structured debt. We invest in Energy companies with differentiated business models that have a sustainable competitive advantage. We target investments in Oilfield Services companies with high ROIC, low capital intensity and a focus on commercial technologies. We believe that great businesses are built by great teams. We back management teams with strong track records of creating value and draw on our own expertise and that of our extensive, global network of Energy professionals to ensure success. Target investment size of $5-$15MM. Participation in larger deals with support of co-investment. Common equity, preferred shares, mezzanine and structured debt. Capital to pursue organic growth or growth by acquisition. Strong management and operational teams with proven track records. Differentiated business with a sustainable competitive advantage. The Bayou Companies has over 70 years experience providing high quality pipe coating products and services to the pipeline industry. Bayou offers internal and external FBE coatings, ID coatings and concrete weight coating to provide protection to oil and gas pipelines. 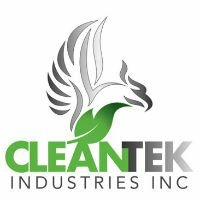 CLEANTEK designs, manufactures and rents proprietary products for oil and gas drilling and production operations and the commercial construction industry. CLEANTEK’S primary products offer advanced, patented solutions to the wastewater management and oilfield/construction lighting sectors. NuWave offers a revolutionary new method for oil and gas well and pipeline abandonment. 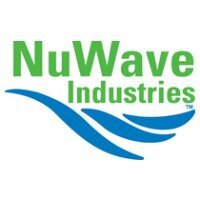 NuWave’s Canadian-designed and patented hydro-cutting (water jet) system offers dramatic improvements over the traditional cut-and-cap process, including increased safety, minimal environmental disturbance and significant cost reduction. Fluid is a global supplier of environmentally responsible, low-hazard and technically advanced completion and production chemical systems. Fluid has several proprietary blends of modified and synthetic acid systems with onshore and offshore applications to the oil and gas sector.